If there’s one yard tool you use the most, it’s probably your lawn mower. And the fact of the matter is, the bigger your lawn, the more you’ll use your mower. That’s why it’s really important to have a durable and dependable unit. That way, you never get stuck with a lawn that looks more like a crop field. 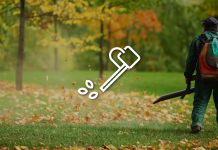 Unfortunately, not all lawn mowers are built to last, and after a few poor investments you might be tempted to just throw in the towel and buy a weed wacker. However, the Worx WG782 is different from the vast majority of mowers available on the market. Curious to know why this worx lawn mower is considered one of the best? Keeping reading to learn all about the perks this mower has to offer. The first thing, and most important, thing to know about the Worx WG782 is that it’s a cordless mower. Battery powered mowers have a lot more to offer than both typical electric lawn mowers and gas mowers. In essence, theses products provide the best of both worlds. You get the mobility that a gas mower provides, without the hassle of adding oil, pull starting, or putting up with an ultra noisy engine. 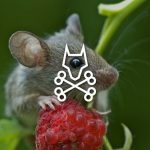 Many cordless lawn mower reviews are quick to point out that the biggest downfall to a battery-powered model is that the battery typically doesn’t last very long, with many citing the average run-time to be about 30 minutes. That’s not the case with this Worx lawn mower, however. 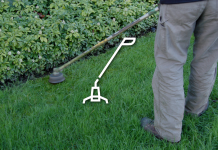 Although designed to for use on small lawns, this product can run for a extended periods of time. However, this feature is just the tip of the iceberg when it comes to operation. 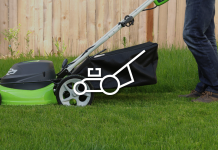 With this mower you can mulch grass and leaves for reuse, discharge the clippings from the side, or collect them for disposal. Additionally, although this particular worx mower operates on a 24 volt battery, it’s equipped with IntelliCut technology. This allows the mower to increase the amount of torque needed based on the thickness of the grass. Even better, this product features an adjustable handle, which allows users to modify the height to reach tight spaces. Yet, the feature that really distinguishes the model is the quiet switch. Simply place this machine in quiet mode and you’ll barely hear it operating—something that’s particularly useful if you live in a tightly organized neighborhood. What are the advantages of Worx WG782? There are quite a few advantages to using this mower. The most obvious perk is that you don’t have to put up with limiting extension cords that get wrapped around obstacles, and you don’t have to do half the work associate with gas models. But there are other benefits as well. Like all electric mowers, this product releases no emissions. What’s more, it’s cost effective, only consuming energy when charging. Considering the quality you get, this worx electric lawn mower is also very competitively priced. 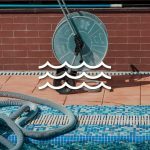 How effective is the Inellicut technology? Using Intellicut on this mower is actually fairly simple and leads to incredible results. All you have to do is switch the dial over to power, and the mower does the rest. 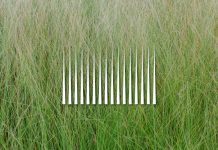 This feature allows you handle even the thickest grasses and can sift through moderately tall grass thanks to the ample amount of power it provides. One thing to keep in mind when operating the mower in this mode is the thickness of your turf. 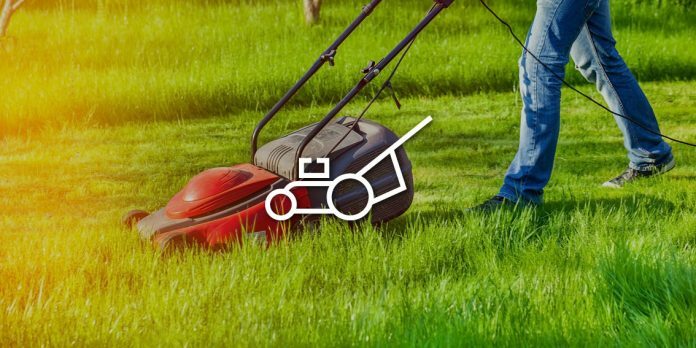 If you know that your grass is typically more dense, you might find yourself having to run the mower in power mode most of the time. 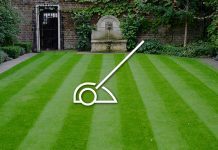 Mowing on a regular basis, however, will keep the need of having to use this feature on the lower end of the spectrum. How does it fare with other compact cordless lawn mowers? The thing that probably distinguishes this mower from others is the durability of its battery. While there is a set amount of time that this battery typically works, many worx cordless lawn mower reviews cite that it can actually run for an extended period of time. What’s interesting about the battery is that it’s also far larger than most other products. Although 24 volts isn’t an unsual power output for this type of mower, the actual size of this battery is. It’s not clear what benefits this larger battery provides, but it’s definitely one of the most distinguishing factors of the mower. Even more interesting, while most cordless mowers are powered by a lithium battery pack, the WG782 runs on a lead acid battery. Additionally, starting this product is literally as easy as the flick of a switch, which is rarely the case—even on many easy start electric models. Compared to other cordless mowers of its size and price range, it tops the list as one of the best models on the market. Other models in this price range don’t have nearly as many innovative features. Products that do, usually fall in the $500-$1000 price range. However, don’t overlook the manufacturer’s warranty. It lasts for two years, so if you notice a problem with starting, stopping, or operating the machine during that time, don’t hesitate to contact the manufacturer. How durable is the WG782? The nice thing about the WG782 is that’s its designed to take on relatively tough jobs for it’s size. What that means is that it can handle turfs with thicker grass. 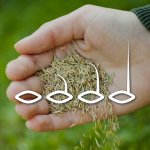 With some care, you can probably get this product to take on grass that’s become slightly over-grown. Additionally, it’s designed cut most grass in one swipe. 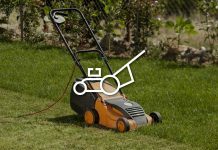 This includes denser areas of your lawn that might take other electric mowers several tries. It can also mulch dry leaves, which makes it a lot more versatile than electric models in the same league. However, at the end of the day, it’s important to remember that this worx electric lawn mower is designed for small yards. While you can probably get away with pushing it to its limit by running it on medium sized yard, using it on yards that are 1/2 an acre or more is not a good idea. Odds are, after some time, this mower won’t hold up if you run it once every week. This type of over-use can lead to faster wear and tear, even on worx lawn mower parts like the battery. Another thing to remember is that while this product can occasionally take on tall grass, you don’t want to over use this function. Just like over-using this machine on larger yards will cause it to break down faster, so will challenging it on a regular basis. 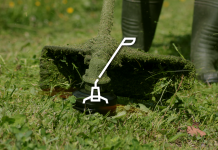 Sifting through too much grass all at once can quickly wear down the blade, and potentially weaken the worx lawn mower battery as well. If you want to make sure this mower stay around for a long time, make it habit to mow once every two weeks. This will keep your mowing time down, and it will also limit the amount of power the mower has to use. How much motor power does it pack? 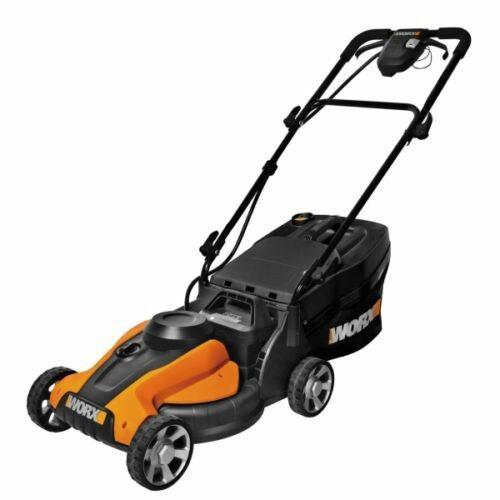 Unlike the Husqvarna 7021p, which packs a total power of 6.9 torque backed by a 160 cc engine, torque on the worx electric lawn mower is limited. However, what it lacks in pure mechanical power, it makes up for in clever engineering and design. The motor is backed by a 24 volt battery, which is forceful enough to tear through thick grass. On the other hand, don’t forget that this is a moderately priced unit, so it’s not going to rival a gas mower, especially when it comes to torque. Keep in mind that more powerful cordless models are out there, and they generally produce more torque. However, the power dial on this machine does allow you take make the most of the torque this motor provides, which can do a great job on most projects. While this may be one of the largest batteries in terms of physical size, the 24 V battery on this mower actually pales in comparison to models that feature more powerful packs, such as 40 volts. Given the price range, this is actually one of the best models available. According to the worx lawn mower manual, the unit can last for 10,000 sq feet or 40 minutes while in “quiet” mode. 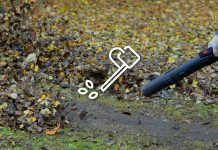 Since the quiet option actually drains more energy from the battery, this means that under normal operation the worx lawn mower can run for longer periods of time. In fact, several reviews report that the juice in the battery can last anywhere between a full hour to a couple of days. Of course, how long the battery lasts is dependent on two main factors: how long the battery is charged and how long it takes you to mow your whole yard. The first factor is easily explainable: the longer you charge your battery, the more juice it will have—plain and simple. But, the second condition is a little more complicated. Quality batteries hold charge when they’re not in use, even if they’re not being recharged. 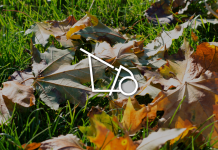 If it takes you less than the full 40 minutes to mow the lawn the first time, the battery should still store that remaining energy. 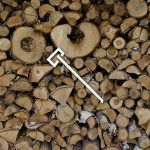 The next time you go to use your Worx WG782—whether that be 24 hours or 72 hours since your last use—the left over energy should still be stored. The best way to keep track of how much power you have left is to keep an eye on the power level indicator. Can the battery be replaced if it dies out? Despite having a really unique battery, you can easily find a replacement if the original ever gets damaged or wears out. For under $100 you can purchase this battery on amazon and have it shipped right to you. Considering how the battery died, you may be able to contract the manufacturer for assistance depending on the validity of your warranty. 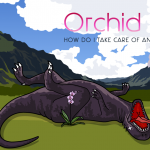 Can it handle overly-grown grass? This mower has a certain amount of tolerance for thick and/or tall grass, especially since it comes with six different setting heights. Yet, keep in mind, not all grass is the same. Really dense, thick grass like Bermuda can be a struggle for any more deal with at a normal height. If it’s simply too high, this machine probably be able to tackle it without considerable damage. What are the main disadvantages of Worx WG782? There are a lot of great perks to using this worx mower. However, there are also some key drawbacks that are important to consider. 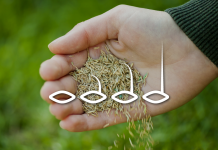 Firstly, this product doesn’t have the capacity to handle a wide range of thicker grasses. Additionally, the battery isn’t the most convenient or powerful to use, which can be a serious flaw if you’re hoping to take on tough products. Finally, unlike a lot of other mowers than feature cutting widths of 20 inches or more at this price range, this worx mower falls a little short with a cutting deck that’s 14 inches. 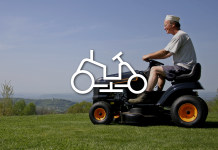 For these reasons, the mower is more ideal for small to medium sized yards. At the end of the day, its really important to find a mower that provides you with the power and durability you need. Remember, you never want to invest in a product that you feel is just “so-so,” especially one that can be as costly as a mower. 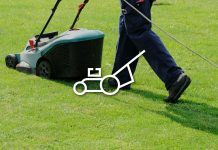 Additionally, finding out as much as about the product, and examining everything from the specs to the flaws is another crucial component of tracking down the right mower for you. So don’t just settle for a mower—or any yard tool for that matter—just because its one of the first few products you find. Take the time to really determine whether or not its right for you.